Bio: My name is Keith Hirshland and I am a four decades television veteran who has spent time both in front of and behind the camera. During nearly forty years in broadcasting my path has crossed in front of, behind and alongside some of the best in the business... And some of the worst. Many of those people I count as friends while others wouldn't make the effort to spit on me if I was on fire. This television life started early watching my Mom and Dad found, fund and run a local affiliate TV station in Reno, Nevada. As a teenager approaching adulthood I worked for them, first as an on-air sports reporter/anchor and later as a director and producer. Jobs in the industry took me across the country and then to many places around the world. Sports is my passion and putting it on TV has been my business. Production credits include auto racing, baseball, basketball, bowling, college football, field hockey, soccer, volleyball and water polo but the majority of my time "in the chair" since 1990 has been invested in the game of golf with both ESPN and The Golf. Channel ( I was one of the first forty people hired by TGC in 1994 ). I am a fan and I watch TV sports as a fan but I also have hundreds of thousands of hours watching from inside a production truck. I think that makes me qualified to comment, my hope is you agree. 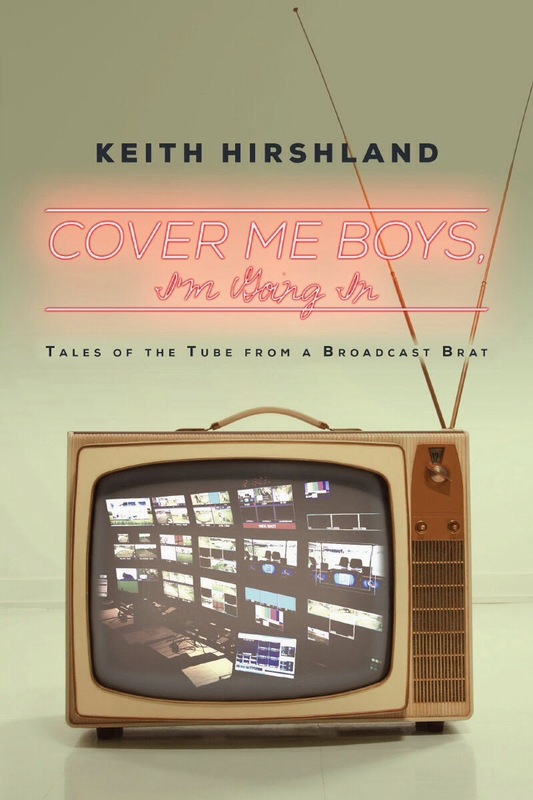 I have written three books, Cover Me Boys, I'm Going In (Tales of the Tube from a Broadcast Brat), a memoir that is a tribute to my parents, the hard working, creative people who started ESPN2 and The Golf Channel and a look back at my life in television. Cover Me Boys was awarded the “Memoir of the Year” in 2017 by Book Talk Radio Club. My second book is a novel, Big Flies, and is a mystery that tells the story of a father and a son with four of the world's most notorious unsolved robberies as a backdrop. Big Flies was named “Solo Medalist” in the True Crime category by New Apple Awards. My third book, another mystery titled The Flower Girl Murder was just published. All three are available at Amazon. I look forward to sharing new thoughts about golf, golf television, sports in general and the broadcast industry with you. The views expressed here are mine and mine alone. They are not connected to nor endorsed by any other person, association, company or organization.